로힝야(2017~) - 2019. 2. 7 로힝자 난민촌에서 온 소식입니다. 2019. 2. 7 로힝자 난민촌에서 온 소식입니다. 난민촌의 한 작은 마을의 중등학교인 RTS(Rohingya Teenager School)의 첫 수업이 시작되었습니다. 어렵게 시작된 학교이니 만큼 계속되길 바라는 간절한 마음을 담아 소식을 전해 주었습니다. Welcome to our RTS supporter. We have 21 students. 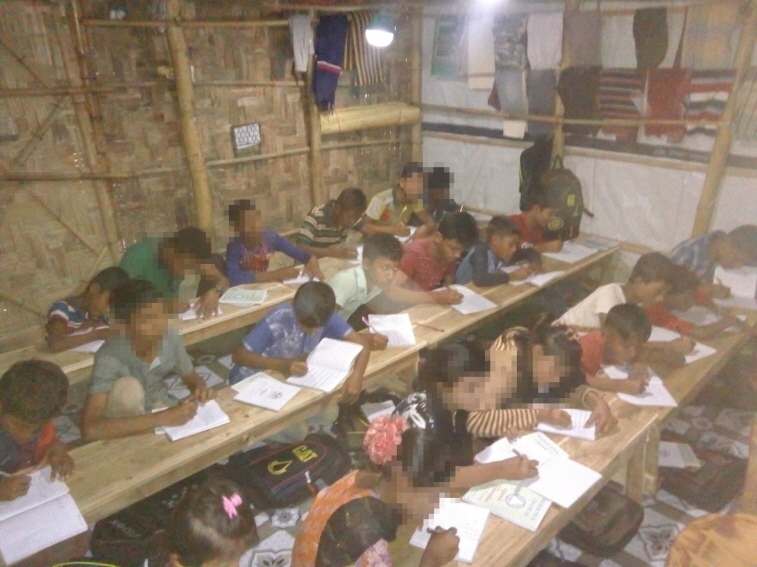 We teach mainly two subjects Burmas and English also, including history of Rohingya. We started 2 Fevruary 2019 both subjects. We are teaching and doing well continuously. Today, We have done "Free Discussion" with a Topic about the habit of children how th respect each others Also, our RTS school committee and some community members have participated in our Free Discussion. They have appreciated our teaching methods and the rule or regulation of RTS school.